Last April I was on maternity leave, unable to photograph 5 of our May weddings. Sarah stood in as me, alongside Patrick for 5 beautiful May weddings. One of them was Meredith and Joey. We surprised all our May couples by showing up (Maggie) just for portrait time which was so special not just to our couples but also for us. I met Danielle that day, Meredith’s sister. 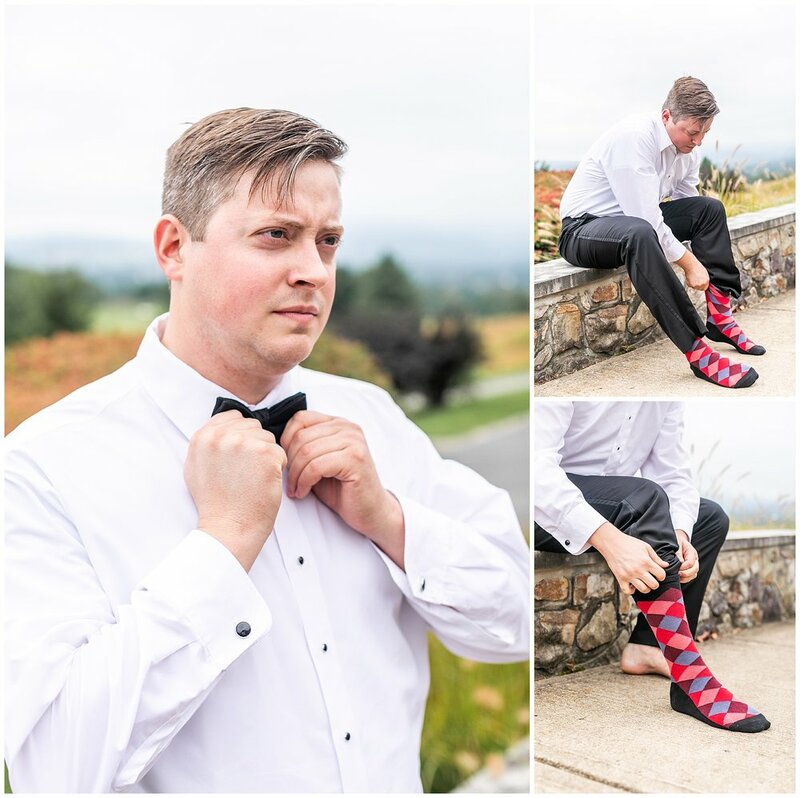 When Meredith and Shane got engaged and reached out to us about photographing their wedding, it was a no brainer. 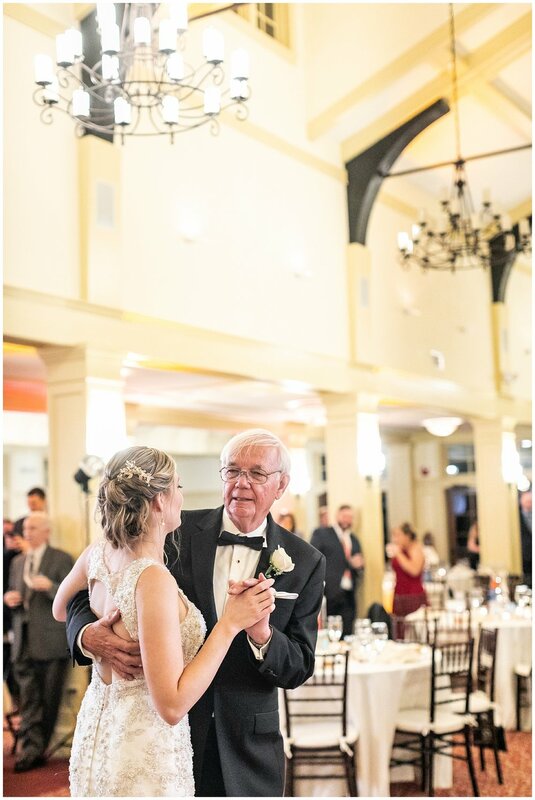 We were so thrilled and as I’ve said many times, photographing siblings is one of our favorite things because we get to see our past couples but also their families and friends. 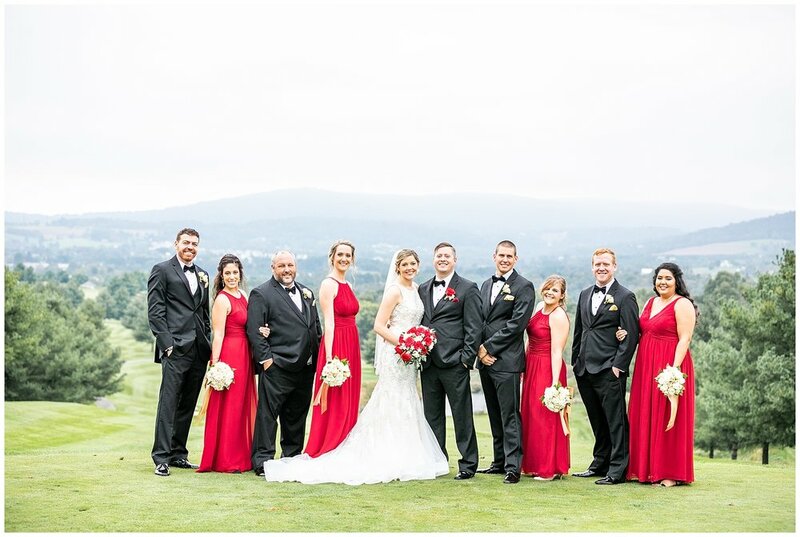 Danielle and Shane got married at the beautiful Catoctin Hall at Musket Ridge Golf Course. It was a beautiful day full of excitement and anticipation. I especially loved their first look, with the golf course set behind them. 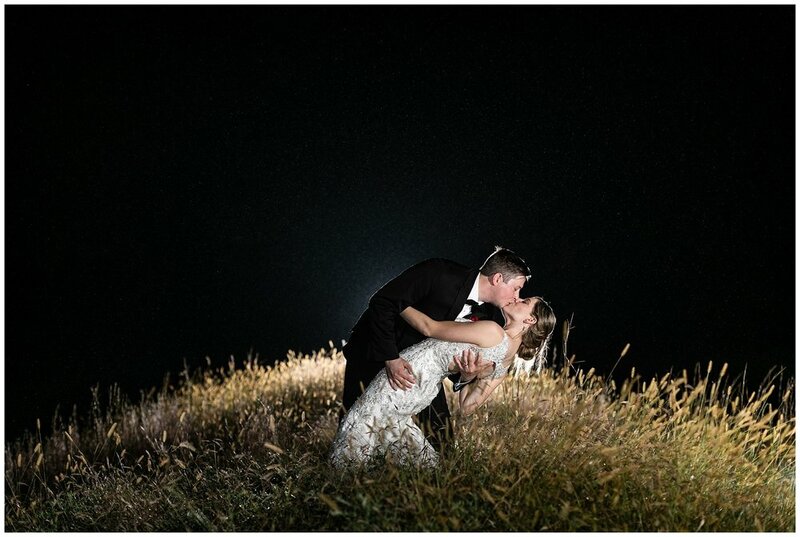 We ventured across the property to get beautiful photos and found endless locations full of beautiful backdrops. When we photograph here I always feel like it’s a destination, I don’t feel like I’m in Maryland because of the terrain and scenery. 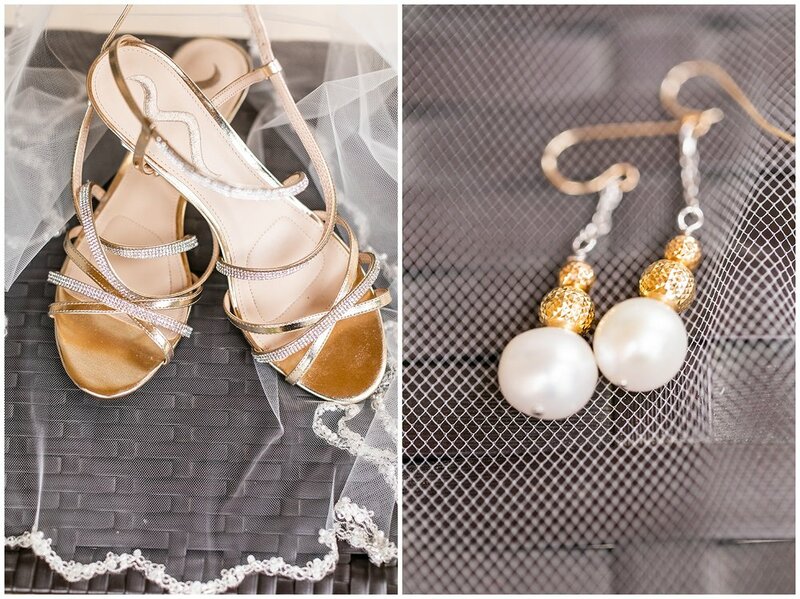 These two love to travel and incorporated their love of traveling throughout their wedding. My personal favorite was their favors which were luggage tags… I secretly wanted to steal 2 for Patrick and I but of course resisted considering they were at seats. Danielle and Shane, watching you guys throughout the night it was no doubt sweet, entertaining, and enjoyable. You guys are so loved by family and friends and you too love big. 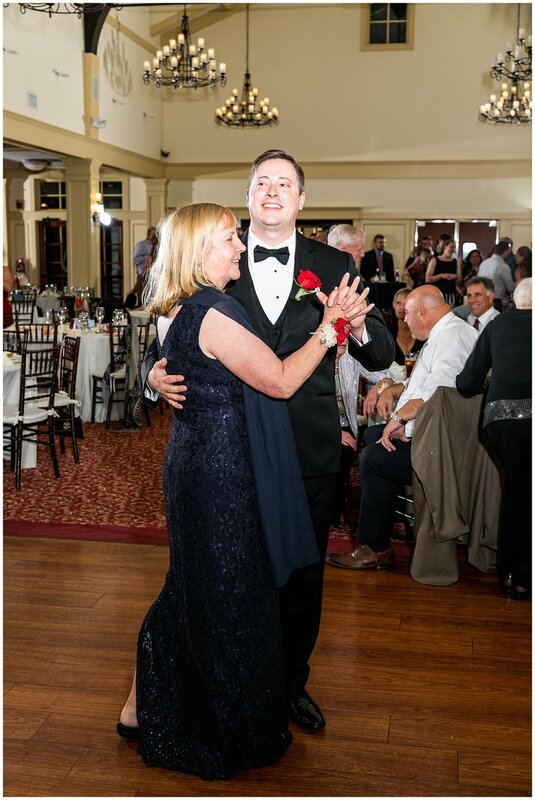 The dance floor was packed, your siblings danced all around you all night, and as parents loved on you, we were just reminded of how awesome our couples are, how full of love and joy. Thank you for choosing us! We wish you guys the best!